While the telecommunication technology is at the height of advancement and is yet progressively reaching higher and higher, every business wants to make the most of the technology to stand out itself in this cutthroat competition. To be precise, businesses via the cutting-edge and advanced telecommunication technology want to transcend their business beyond the national boundaries with the view to making their presence in the global markets. Keeping the notion in consideration, currently there is no other as best as international Bulk SMS marketing. The approach is working very well in marketing the services and products of a business on a shoestring. You can send bulk SMS to all your international partners via the up-to-date telecommunication technology. Broadnet Technologies is one of the preeminent telecommunication service providers in the industry offering excellent services within the means of the customers. BroadNet Technology has been performing exceptionally well in the industry by delivering one-of-a-kind telecommunication solutions for international markets since 2003. The company is at the cutting-edge of offering SMS services to the global market with a support of over 400 + networks. There is no doubt in stating the fact that BroadNet Technologies is one of the most reliable international bulk SMS service provider in the industry. 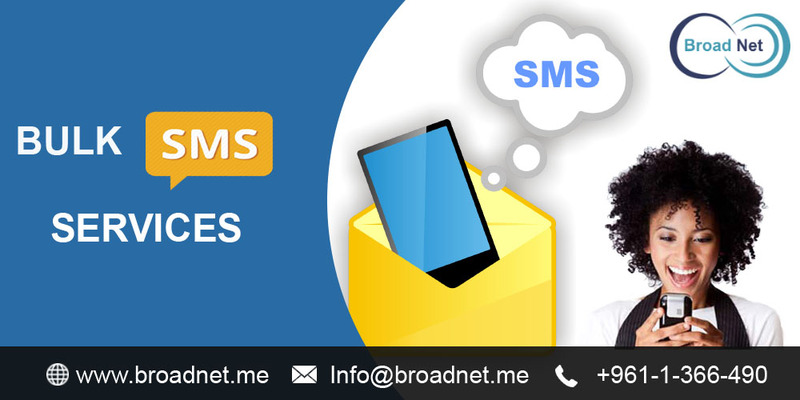 BroadNet Technologies enables your organization to Send SMS to your targeted people via our state-of-the-art SMS Gateway API. The API is just the ticket for dealing with a variety of tasks ranging from automatic announcement to message delivery status. BroadNet Technologies enables you to log in from any internet-equipped computer and communicate right away via bulk SMS text messaging. BroadNet Technologies’ Text Messenger helps a great deal to make the two-way SMS marketing a bit easier task. This feature-rich software is easy and instant to install and easy to use. BroadNet Technologies, a premier international bulk SMS provider offers you International Bulk SMS Services in international markets at the most reasonable pricing enriched with state-of-the-art technology. So touch base with us to get the most optimum international bulk SMS solution for you!